A Fidelity Guarantee as issued by the insurers is a contract of insurance and also a contract of guarantee to which the general principles of insurance apply. It does not guarantee the employees honesty but it guarantees that if the employer suffers any direct financial loss arising out of the employees dishonesty the insurers share indemnify the said loss to the employer within the limitations prescribed by the contract. Insurable Interest : The term “Fidelity Guarantee Insurance” embraces Policies indemnifying employers against pecuniary losses on account of forgery, defalcation (misappropriation of money), embezzlement (diversion of money to one’s use) and fraudulent conversion by employees. The object is to provide protection against losses arising out of the default of an individual acting in some capacity such as Cashier, Accountant and Store-keeper, etc. Scope of Cover : The Policy covers the loss sustained by the employer by reason of any act of forgery and/or fraud and/or dishonesty of monies and/or goods of the employer on the part of the employee Insured committed on or after the date of commencement of the Policy during uninterrupted service with the employer. The loss should be detected during the continuance of the Policy or within 12 calendar months of the expiry of the Policy and in the case of death, dismissal or retirement of the employee within 12 calendar months of such death or dismissal or retirement whichever is earlier. The cover may be required in respect of a single employee or a group of employees. There are three types of Policies normally issued by the Insurer for this clause of business namely “Individual Policy”, “Collective Policy” and “Floating Policy”. The extent of control over the work of the person to be guaranteed necessarily to form the relationship of master and servant. The record, standing and reputation of the employee. The “bonafides” of the employer. The system of checking of the accounts and general supervision of the employee. It is essential to obtain the Private Reference and/or Former employer’s Report forms in addition to completed Employer and Employees application form as appropriate. If the employee guaranteed under the policy had left the services of the employer and was re-engaged by him, no liability attaches to the policy, unless the consent of the insurers was obtained. No loss that may have been caused by bad accountancy is payable: the loss must be supported by evidence of any of the specified acts of dishonesty. Individual Policy : This Policy covers an individual for a stated amount. Collective Policy : This Policy covers a group of employees. The Insured decides the amount of guarantee required for each individual according to his or her responsibility and position. A schedule is included in the Policy. Floater Policy : A single amount is shown in the Policy which represents the Insurer’s liability in respect of any one individual and its total liabilities in respect of all the employees guaranteed who are individually named in the schedule. Such type of Policies is granted where the number of persons to be guaranteed is not less than 5. Blanket Policy : The Insurer in certain selected cases, issues Blanket Policies without the names of the guaranteed persons being shown, in respect of all employees who are grouped according to categories, e.g. employees handling cash, other clerical staff etc. They are issued to large well established business houses conducting business with sound practices. In case the Policy is required to be issued without mentioning the name of the employee/s i.e. on unnamed basis, then in such circumstances all the employees dealing with the cash/goods, whether permanently or temporarily or by rotation must be covered. Further the limit can be fixed for each employee separately or for the group of the employees as the case may be and the liability of the Insurer in case of the loss will be restricted to the same limit irrespective of the sum insured. However, the wider limit in the line of the sum insured can be considered by the Insurer depending upon the requirement of the Insured after taking into account other relevant factors. Insured should take immediate steps against the defaulting employee for the recovery of cash/goods as the case may be and also other disciplinary action required, depending on the case. Insured must establish the “act of infidelity” committed by the particular employee covered under the Policy. In many cases, the loss noticed at the time of stock taking in case of stock is not covered. The Insurer shall not be liable, if at the time of any loss, any other Security Guarantee or insurance existing covering the same loss. The policyholder must submit a “proof of loss” to the insurance company detailing the amount of its claim. The requirements to establish the “act of infidelity” and submit a “proof of loss” means a forensic audit is essential. Ordinarily the cover is extended to Forensic Auditors fees incurred in establishing and substantiating the amount of loss. Clients’ in-house expenses and overhead are not covered. 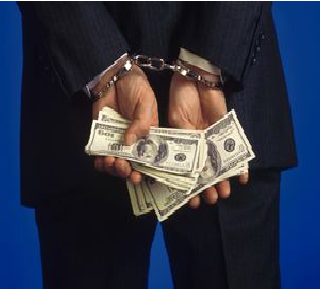 Most white collar crimes are complex, and unlike other forms of insurance, the burden of proof is squarely upon the policyholder, who also bears the burden of investigation, audit and accounting, as well as submission of conclusive documentation and evidence to the insurer in the form of a formal Proof of Loss. Thank you for another beneficial website. Exactly where else may possibly I am getting that type of info developed in a real fantastic signifies? I’ve a opportunity that we’re at the moment running with, and I’ve ended up on the look out for similarly info. I ‘m not sure about govt bonds Tendai. I guess this will depend on the insurer and type of cover but in general it’s a “no”. If they are liable for the third party’s property loss, yes indeed. Fidelity Guarantee explained in a very professional concise manner. Our company suffered financial loss from theft from a contracted cleaner, part of the loss was proven and the cleaning contractor’s firm reimbursed – part was not proven as stolen by the cleaner but proven missing in audited accounts. Is a contracted cleaner classed as an employee and can we claim on our Fidelity Guarantee the further losses – proven as missing but not by who or how (but falling in the period of the proven trhefts). Depends on the terms of the insurance. It’s always advisable to go over the small print carefully/.